Your child was born ready to learn math. As she explores her environment, plays with different objects, and moves her body in different ways, she is learning about shapes and developing a sense of her body in relation to objects and people around her – also known as spatial sense. 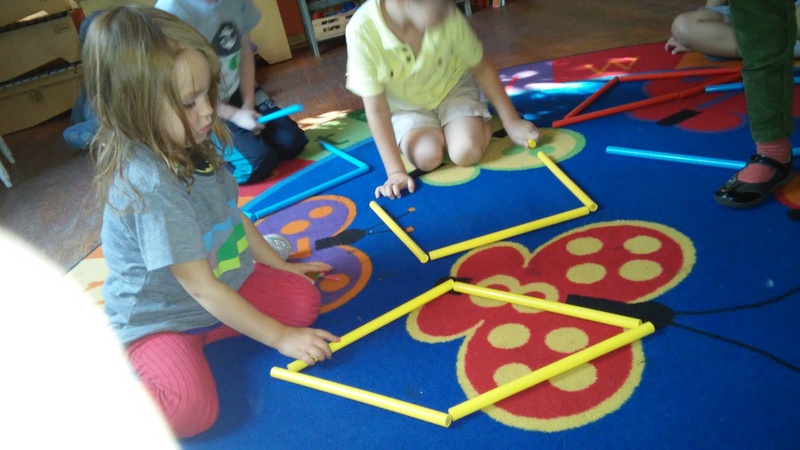 An awareness of shapes and spatial sense will help your child get ready to learn about geometry. Geometry is the study of mathematics that involves shape, size, position, direction, and movement and describes and classifies the physical world that we live in. Learning about geometry will also help your child learn about numbers and measurement. 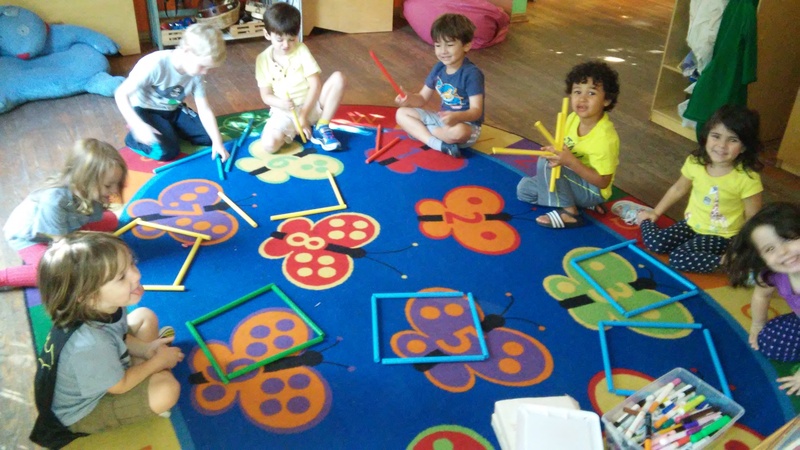 For this activity, we created diamonds and squares with rhythm sticks. Your budding mathematician learned that both shapes contain four sides. They also learned that if you make a square and turn it onto its side, it creates a diamond! We then applied our understanding of these shapes by making them for ourselves! So great to see the kids learning. Keep up the great work!